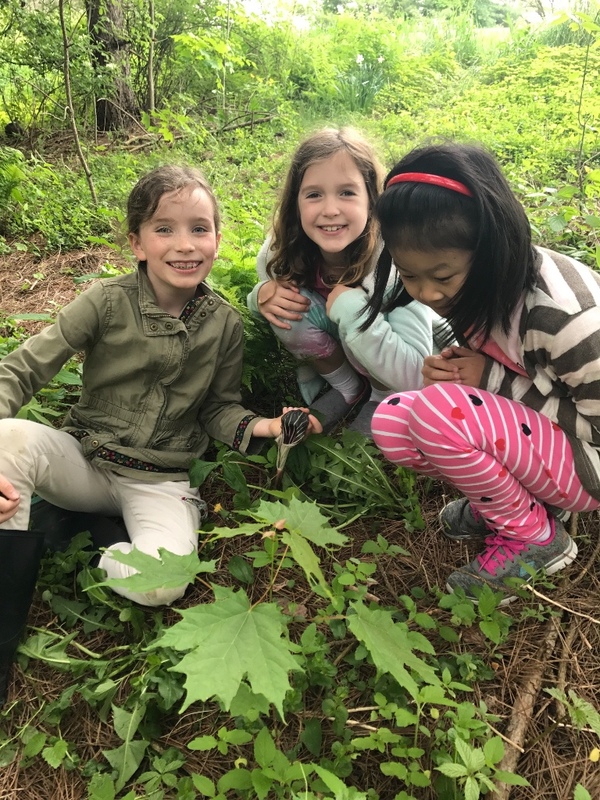 Lyme School 3rd grade teacher, Trisha Gautreau caught the PBEE bug 5 years ago when she took a nature writing course for professional development. 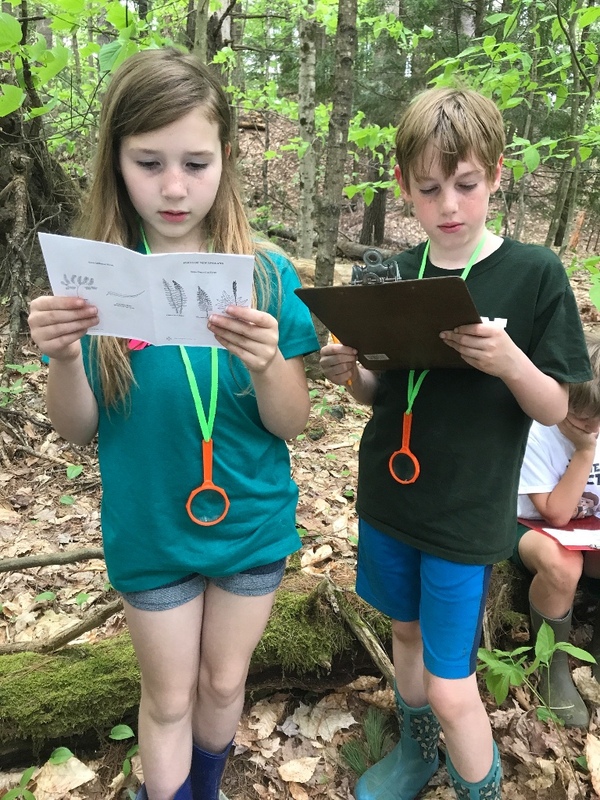 That summer she offered a nature writing summer camp for students in grades 1-6 and witnessed the vast opportunities of using nature as a classroom. Since launching Forest Fridays, Trisha has noticed some changes in her students. 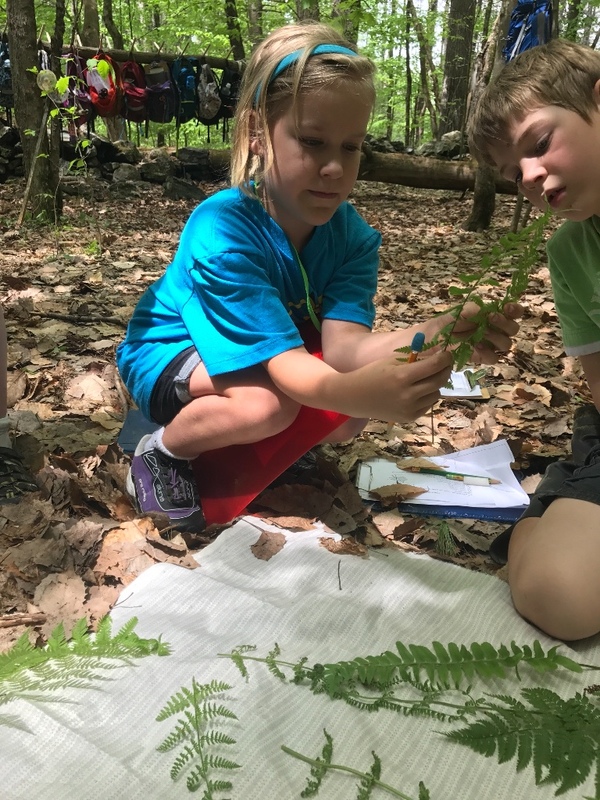 “While we see the academic benefits of using the forest as a classroom, one of the most interesting things I’ve noticed is that the kids’ social and emotional development has really improved outside of the traditional classroom. My students have developed new friendships on Forest Fridays. They spend time with kids that they don’t typically engage with when we’re in the school building. When we are in the forest classroom, I see my students work out their differences in healthier, more productive ways. We aren't quite sure why this is, but it's a fantastic outcome." 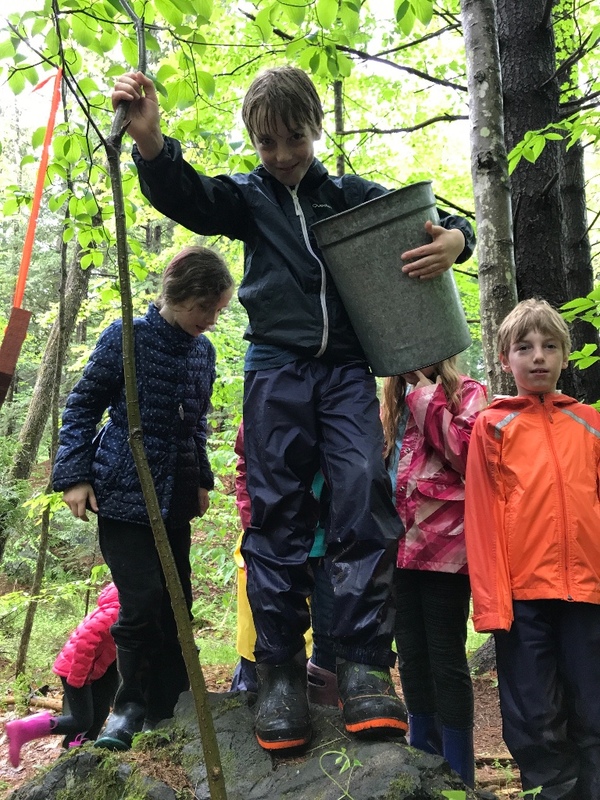 Ms. Gautreau’s Forest Friday schedule typically consists of a few minutes of mindfulness practice at the child’s “sit spot”, followed by forest learning groups, lunch, more forest learning, and finally, free play. Students write poetry, do math; all the things you would expect them to do inside the school building, just in a different, often more engaging environment.